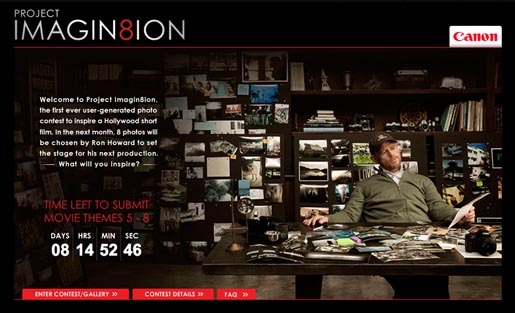 Canon is promoting Project Imagin8ion, an online user-generated contest, with “Parade”, a television commercial featuring film director Ron Howard and a visual effects laden street parade. The ad uses a cityscape filled with astronaut, floating firefighters, mermaid, giant snake and knight, and a diamond-skinned dog to promote Howard’s “Project Imagin8ion,” calling for eight imaginative photos to set the stage for his next production. 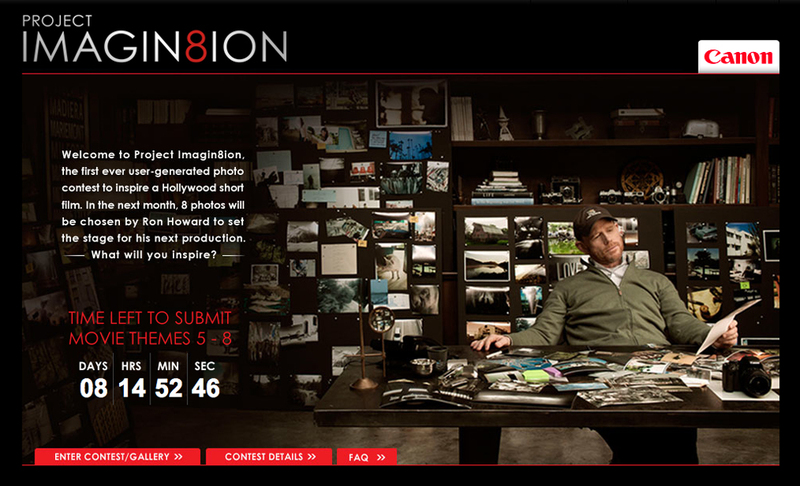 Ron Howard, with the help of Canon and the Project Imagin8ion community, is selecting 8 imaginative photos to set the stage for his next production. These 8 winning photos will inspire the 8 movie themes for this film: setting, time, character, mood, relationship, goal, obstacle and the unknown. Photos for the Setting, Time, Character and Mood categories were submitted between May 22nd and June 2nd. Photos for the Relationship, Goal, Obstacle and The Unknown categories can be submitted from June 3rd through June 14th. The Parade ad was developed at Grey New York by creative directors Ari Halper, Steve Krauss, associate creative directors Stu Mair, Eric King, art director Elinor Buchler, copywriter Kent Koren, agency producer Lauren Tuttman. Filming was shot by director Dante Ariola via MJZ with director of photography Chris Soos and producer Natalie Hill. Editor was Andrea MacArthur at Peep Show, New York. 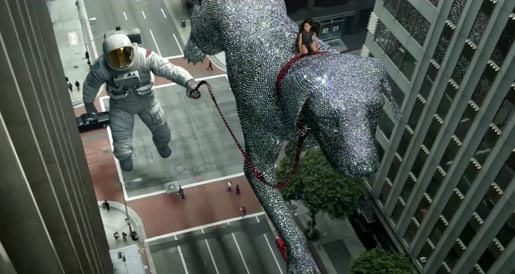 Post production was done at Method Studios by senior creative director Dan Glass, senior executive producer Gabby Gourier, VFX supervisor Phil Brennan, CG supervisor Jason Schugardt, producer Darcie Muangman, coordinator Anastasia Von Rahl, lead compositor Tim Davies, compositors Jonathan Lagache, Jeff Allen, Caitlin Content, CG modelers Masa Narita, Lim Bunupuradah, Alex Whang, Toshihiro Sakamaki, texture artists Brian Ripley, Josh Frontino, Ryan Reeb, riggers Rick Grandy, George Saavedra, trackers Fabio Zapata, Lauren Van Houten, Tom Stanton, animators Steward Burris, Alex Cannon, Les Major, Jonah Austin, lighters David Lo, Alex Lee, Kris Cabrera, David Chan, David Godwin, FX artists Brett Angelillis and Hiro Okubo. Method’s Alex Cannon worked with Production Designer Christopher Glass and Ariola to storyboard the spot in Pre-viz, which helped them to block the myriad characters out as well as help shape the tone of the spot. The plates (all shot on Canon equipment) were shot on a particularly overcast day, which led to flat lighting, prompting the Method team to make lighting enhancements throughout the spot. Music was composed at by Justin Hori at Comma Music.